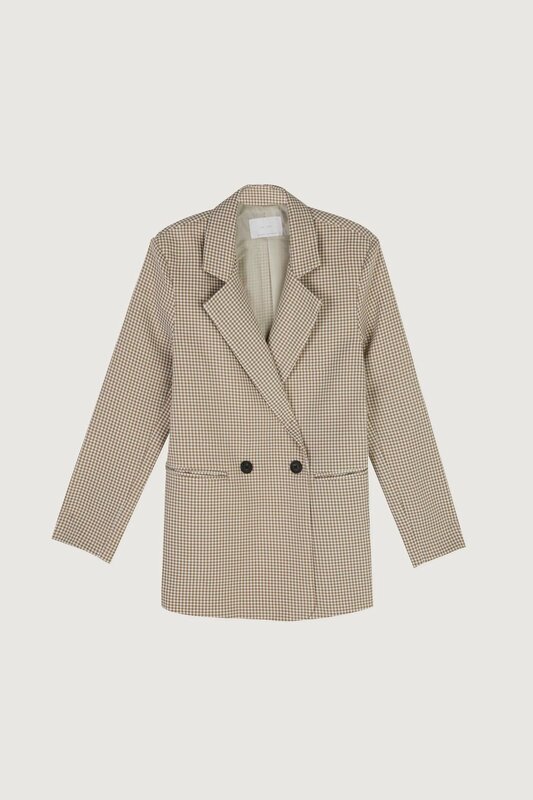 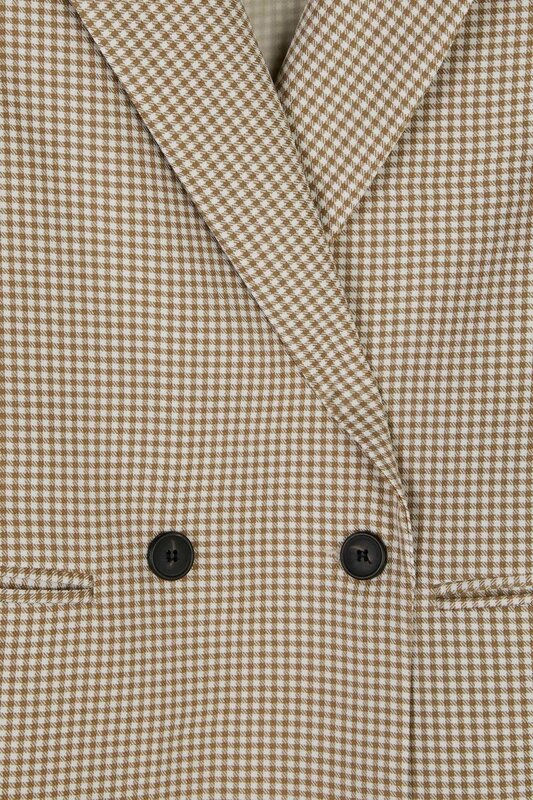 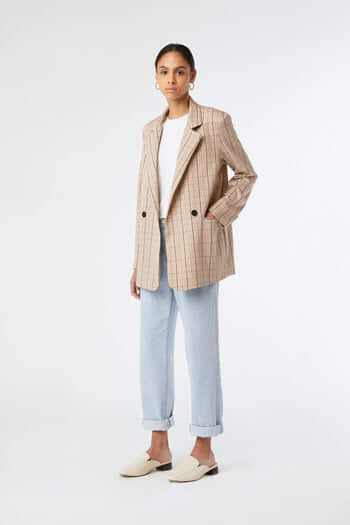 Patterned with a classic gingham print, this tailored blazer is the ideal piece to add to your Spring wardrobe. 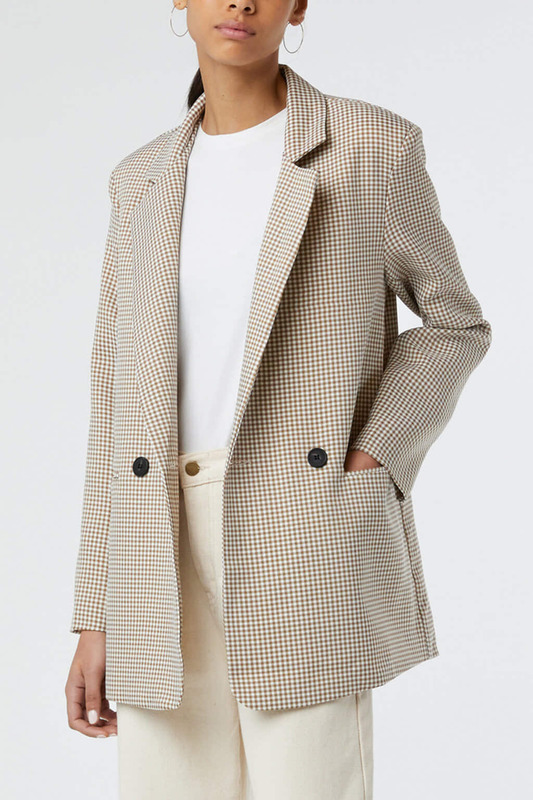 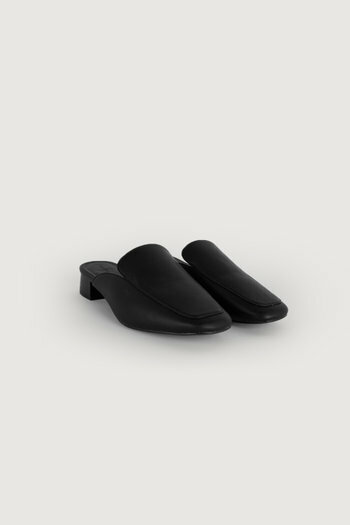 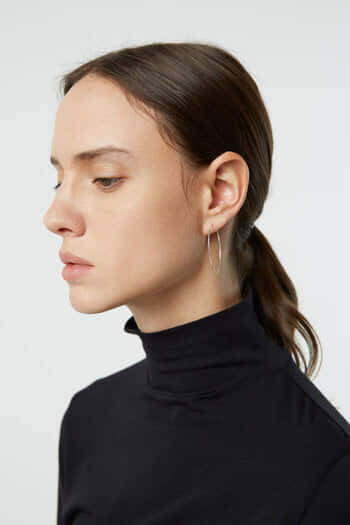 Designed for a classic fit with a notched lapel collar, double-breasted button closures and side pockets, complete your casual and elevated looks with this versatile piece. 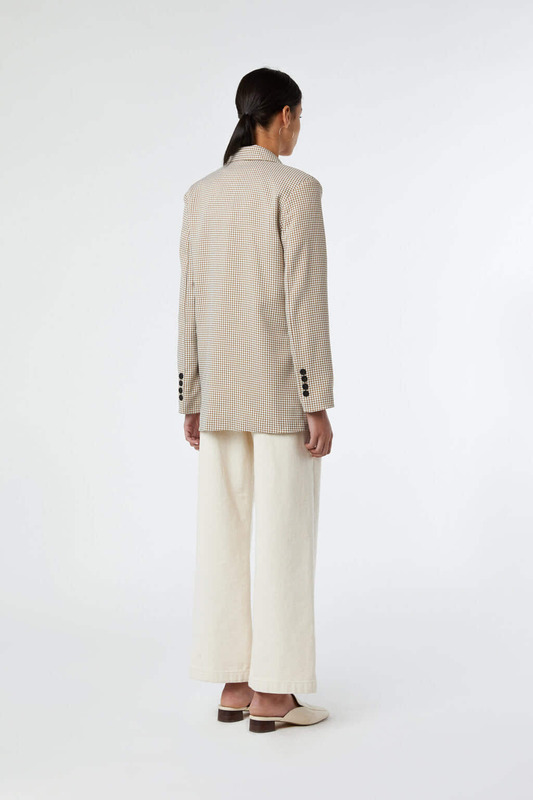 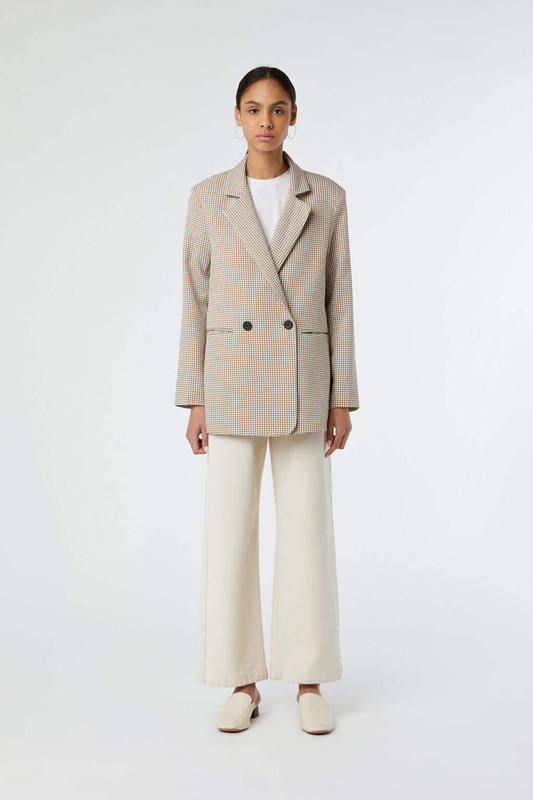 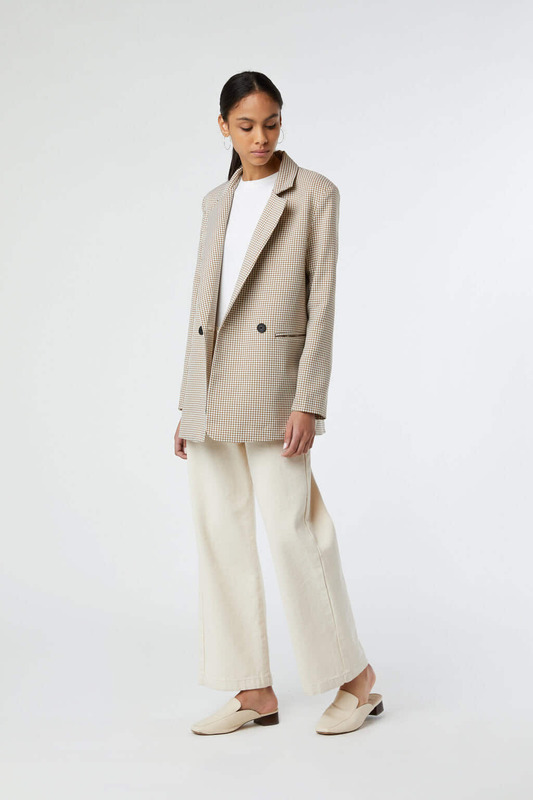 A style that can be worn for any occasion, try styling yours with a cream turtleneck and trousers for a tonal look or sophisticate your ensemble with a lustrous dress and heels for an elegant evening.